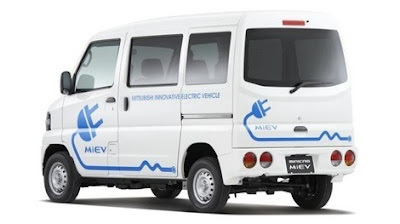 Mitsubishi Motors Corp said it plans to supply electric minivehicles for commercial use to Suzuki Motor Corp on an OEM (original equipment manufacturer) basis from February of next year. Suzuki will receive the Minicab-MiEV, which is set to debut by the year-end. Suzuki will market it under its own brand name, adding the first electric vehicle to its lineup. Mitsubishi plans to build around 4,000 of the vehicles in the financial year to next March. Suzuki already supplies its Solio subcompact to Mitsubishi Motors. Mitsubishi Motors has been actively expanding its OEM arrangements in the domestic market to cut costs and expand its product offerings. It supplies Nissan Motor Co with three minivehicle models, while Nissan supplies Mitsubishi with minivans and is due to begin supplying luxury vehicles in the 2012/13 financial year.